A good teacher never stops learning and reflecting. 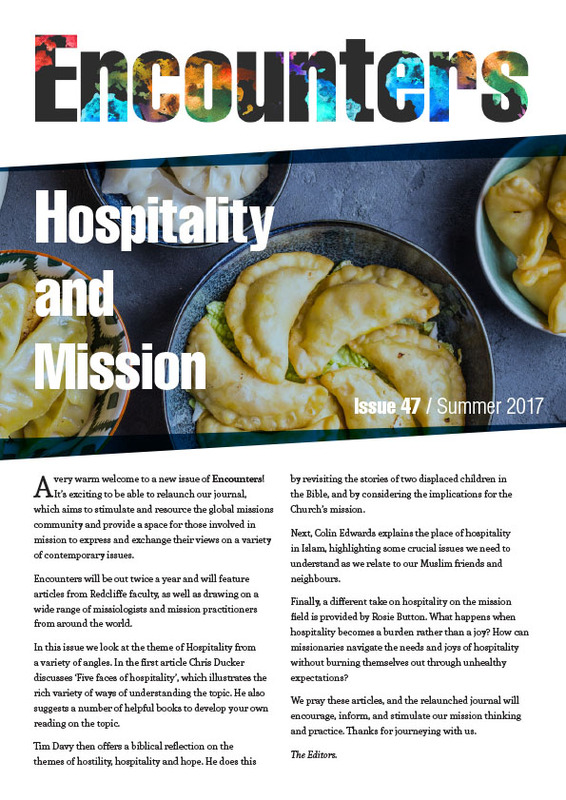 This edition of Encounters is dedicated to book reviews by members of the faculty of Redcliffe College. Although the titles covered are varied, the unifying theme is our request to participants that they complement their reviews by reflecting on how their reading might be useful for or influence their teaching. One of the big developments in recent months at Redcliffe is the move to the College of the Wycliffe Bible Translators training, now called the Centre for Linguistics, Translation and Literacy (CLTL). This issue of Encounters, therefore, provides a timely opportunity to mark this exciting move and introduce some of the Faculty involved in those programmes. The first review is by Carol Orwig, who discusses Michael Agar’s book Language Shock: The culture of communication, a book that provides a very realistic framework for language learning that goes beyond grammar and vocabulary and takes into account cultural issues. Staying with the cultural dynamic of language, David Gray reviews Translating Cultures by David Katan. Picking out some of the many (and often humorous) examples offered by Katan, David applies the difficulties of translating across cultures to his own translation consultancy and teaching on CLTL courses. Following this, Howard Jackson evaluates the three volume Basic Linguistic Theory by R.M. Dixon. Offering a brief description of each volume, Jackson recommends Dixon’s compendium as an indispensable guide to field linguistics. Catherine Young draws on her own experience of living with the poor to review the revised edition of Bryant Myers’ challenging book Walking with the Poor: Principles and Practices of Transformational Development. The original edition has been a key book for her work in education and development among minority ethnolinguistic communities and she notes with approval the additional perspectives from around the globe in this new edition. On a very different tack but also meeting the needs of today’s complex world, Ted Pilling takes a look at Pathways to Jesus: Crossing the Thresholds to Faith by Don Everts and Doug Schaupp. He suggests it will be useful not only in the classroom for modules in evangelism and discipleship but also in our own interaction with today’s postmodern generation. Inspired by John Goldingay’s Job for Everyone, Tim Davy notes the challenge of appropriate vulnerability in the classroom and wider community, as well as the missional importance of lament. On a different note, Daniel Button looks at The Language of Science and Faith by Karl Giberson and Francis Collins. He believes this will become a key text for his students and highly recommends it to all who are grappling with the science-faith divide. And finally, Hugh Kemp, whose The One-Stop Guide to World Religions has been published this month by Lion Hudson, relates the issues raised in Stephen Prothero’s God is Not One: The Eight Rival Religions that run the World – and Why their Differences Matter to the way we think about communicating the Gospel in relation to other religions. Eight reviews of widely different books, but all providing useful tools for seeking to engage with, and communicate more effectively to, our complex world. And finally, a single PDF of the whole issue. Ideal for using offline or to make printing easier.